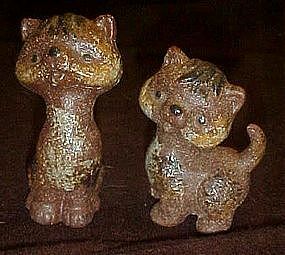 Vintage stoneware pair of kitten figurines made by Schmid Brothers Japan. both have their original labels on the bottom. Tallest measures 4" high. Glazed accents. Perfect condition with no damages.